For those who are college students, you know that each year we buy expensive textbooks for our classes. And when the semester is said and done, we sell them through a buyback program and get a fraction of what we paid for. Some of us are bewildered that we get so little back. However, there’s an alternative to this that exists. It is called TextBookRush. According to the site, not only can you buy or rent textbooks, you can also sell them. But is it the real deal or an outright scam? Let’s dig a little deeper into TextBookRush and see what this is all about. TextBookRush was founded in 2001 in Columbus, Ohio. The current president and CEO is David Dimm. However, TextBookRush didn’t start as an online business. In 1994, they opened up a store in Columbus, Ohio. This was followed by a second store that opened up on the campus of The Ohio State University in 1998. Once they entered the online realm, TextBookRush was not the original name. In their initial 2001 launch, they were known as TextbooksRus.com. In 2013, they rebranded as TextBookRush. As of today, the company has 130 employees and counting. 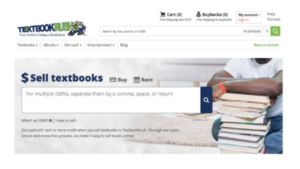 TextBookRush gives users the option to buy, rent, or sell their textbooks. For those who are buying or renting textbooks, they’re looking for reasonable rates that are better than what they would find at their campus bookstore. But it doesn’t stop there. It has also become a marketplace for people who want to buy or sell movies or video games. Upon further review, the titles of the video games are from gaming systems that are either barely used or considered obsolete. However, the movie titles on sale look pretty decent. First, you find your textbook by entering the ISBN number in the search function located in the “sell textbooks” page of the site. Check the edition of the textbook. Most textbooks should have a U.S. Student edition. If it doesn’t, then you can click on “I have another edition” and choose what you have. If the edition you have isn’t listed, it’s not currently being purchased at that time. If you have a U.S. Student edition, you can proceed by clicking on the “Add To Sell Cart” button. You will be given a quote that you must accept. Remember that the prices are a quote and may be subject to change. If you have a different edition, once again you go through the motions and find that version on a list. Then proceed as usual. The buyback must total at least $15 in order for it to be accepted. Finally, you go through the checkout process. 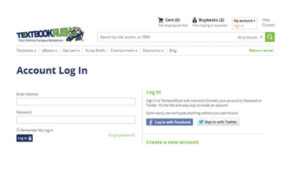 If you do not have a TextBookRush account, you will be asked to create one before you proceed. Once you’ve checked out, you can set up how you wish to be paid. Your options are cash, PayPal or store credit. Once you verify your address and review the terms and conditions, then you can click on “complete buyback”. Next, you print off your shipping labels and attach them to the packages that you’ll send to TextBookRush. Be sure to review their packaging and shipping guidelines before you send them out. If you’re selling video games or movies, the process is pretty much the same. You enter the UPC in the search function, mark the game as either new or used, and accept the quote given. Create a TextBookRush account if you don’t have one, verify your address, submit how you want to get paid, and ship them out. Simple, right? Most of the reviews have been pretty solid on some review sites. However, Yelp in particular had an average of one star out of 57 reviews. By the sounds of them, they sound like they were expecting more money but got what they can possibly get out of it. Keep in mind that regardless if the reviews are positive or negative, always take them with a grain of salt. It’s important to do your own due diligence before you make a decision. If something doesn’t seem right, don’t proceed with it. Simple as that. Some were satisfied with what they got with their textbooks and we’re paid very quickly. Some said that it took forever for them to receive their money. According to the payment section of TextBookRush’s FAQ section, payment by way of check or PayPal will be delivered in 5 to 10 business days. However, you will receive store credit in as little as one business day. This can explain why some people are a little miffed about the timing of the payments. But it’s always important to know when you should expect payment before proceeding. Not too many people ever bother to read the fine print or do some digging. So it is highly encouraged you do so before using something like this. You can sell not just textbooks, but also movies and video games. They have been around for quite a long time, so if they have been a scam, they would have been shut down already. The store credit payment option comes in handy in case you need a textbook that can’t be found in your campus bookstore. The check and PayPal payment options do take 5 to 10 business days. This is a major con if you don’t have the patience. The quote may be subject to change, so you may not get back what you might expect. The final verdict is clear: TextBookRush is legit. If they’re not, then it’s baffling that they’ve been around for so long. They provide a convenient option to those who want to buy or sell their textbooks. If you’re expecting to get rich off selling textbooks, you’ll be sorely disappointed. But you can make a decent amount of money off your textbooks depending on what the market price is. Do you have any experience with using TextBookRush? Do you have any questions concerning my “TextBookRush” scam review? If you do, please leave your comments or questions below, and I will be more than happy to get back to you. Thanks again for checking out my post, and good luck with your success online..